EOG filed pooled unit designations for the Knox, Howard, Howard A, and Wylie A units, even though the plaintiffs’ leases did not allow pooling. EOG then calculated the plaintiffs’ royalties based on the portion of each well’s lateral length located on plaintiffs’ tract – allocation based on lateral length. I understand that most companies drilling allocation wells calculate royalties owed on non-pooled tracts on this lateral-length yardstick. I have reviewed some of the pleadings in the Spartan case, including a motion for partial summary judgment filed by EOG last month. EOG asks the court to rule that “royalties in this case should be based on a reasonable allocation of the total production attributable to the lands covered by the [plaintiffs’] leases,” citing Browning Oil Company, Inc. v. Luecke, 38 S.W.3d 625 (Tex.App.-Austin 2000, pet. denied). [T]he burden is on the one commingling the goods to properly identify the aliquot share of each owner; thus, if goods are so confused as to render the mixture incapable of proper division according to the pre-existing rights of the parties, the loss must fall on the one who occasioned the mixture. … Stated differently, since Humble is responsible for, and is possessed with peculiar knowledge of the gas injection, it is under the burden of establishing the aliquot shares with reasonable certainty. Plaintiffs say that it is impossible for EOG to determine “with reasonable certainty” how much of the wells’ production is from their tract. EOG argues that Browning v. Luecke supports its use of lateral-length allocation. If this case makes it to the appellate courts, it will (as far as I am aware) be the first case since Browning v. Luecke to address what remedies lessors have when their lessee drills a horizontal well across their lease boundary without forming a pooled unit. 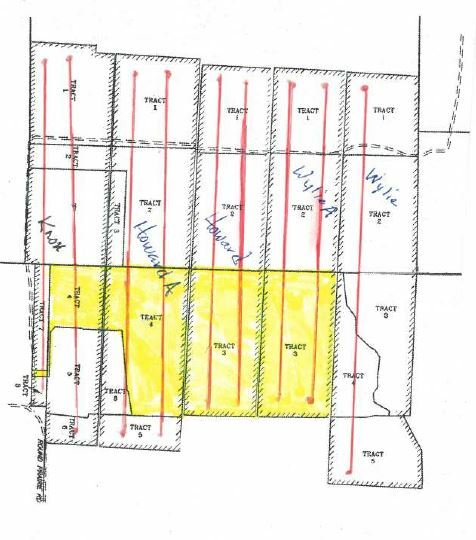 According to deposition testimony in the Spartan case, these are the first allocation wells actually drilled by EOG, although it has filed allocation well permits before. In fact, the permits for the wells drilled on the Spartan tracts were not filed as allocation well permits.